La Salle Green Hills ("LSGH") is a private Catholic school exclusively for boys located on Ortigas Avenue, Mandaluyong City, Metro Manila, Philippines. It is run by the Roman Catholic Brothers of the Christian Schools- Philippine District. It was established in 1959 by the De La Salle Brothers led by the late Brother H. Gabriel Connon FSC of then De La Salle College Manila primarily to provide more grade school slots to the then very popular De La Salle Grade School (1911–1984) in Taft Avenue, Manila. La Salle Green Hills offers elementary education, and secondary education. La Salle Green Hills is the fifth oldest campus of De La Salle Philippines, the association of all Lasallian institutions in the Philippines, after De La Salle University in Manila (1911), De La Salle Araneta University in Malabon City (1946), University of St. La Salle in Bacolod (1952), and the La Salle Academy in Iligan (1958). La Salle Green Hills was given a clean seven-year accreditation by the PAASCU in 1991 and 1998, thus making it the first high school institution in the Philippines with this distinction. Both Grade School and High School departments of La Salle Green Hills were awarded Level III accreditation—the highest possible level—by the PAASCU and FAAP. Early 1950s the Brothers of De La Salle College-Manila led by Brother H. Gabriel Connon FSC, acquired a six hectare lot on Ortigas Avenue in Mandaluyong City to relocate the De La Salle Novitiate from Baguio and to accommodate increasing requests for admission to the then De La Salle Grade School on Taft Avenue, Manila. In July 1959 La Salle Green Hills (then spelled La Salle – Green Hills) opened its door to two preschool-level sections and one section each for elementary school units one and two. Its first Brother-Director was Brother Alphonsus Bloemen FSC who first came to teach in De La Salle College in Manila in 1940. On August 24, 1960, La Salle Green Hills, Inc. was registered as non-stock, non-profit corporation with the Securities and Exchange Commission. In August 1964, the high school was established. 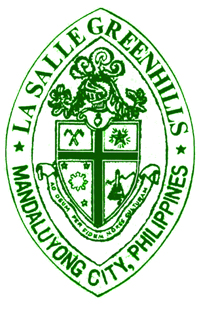 In 1968, when the De La Salle High School – Manila was made defunct, graduates of the De La Salle Grade School were transferred to the La Salle Green Hills High School, making La Salle Green Hills the high school of De La Salle University – Manila, until the establishment of the co-educational De La Salle-Santiago Zobel School in 1978. The De La Salle Grade School – Manila was made defunct in 1983, after which male students were given an option to study either at LSGH (for northern and central Metro Manila residents) or at DLSZ (for southern Metro Manila residents). Level III accreditation by PAASCU, making it the first and only school in the Philippines certified as such. And in late 2008, the High School was granted Level III accreditation from the Federation of Accrediting Agencies of the Philippines, the highest accreditation given to any basic education institution in the Philippines. On June 8, 2009, La Salle Green Hills celebrated its golden jubilee, and in 2011 celebrated together with the rest of the De La Salle schools in the Philippines the centennial celebration of the De La Salle Brothers in the Philippines. In 2009, a student named Keanu Karami raised awareness for Typhoon Ondoy by playing his violin while raising 10,000 pesos and donating it to the victims and their families. At the time, he was a local hero as being interviewed by basketball player Chris Tiu, the show Ako Mismo and Philippine Star. The La Salle Green Hills Grade School (LSGH-GS) is a Catholic elementary school for boys. It offers education for students from the kindergarten level to the seventh grade. Its facilities and classrooms are located within the St. Joseph the Worker Building (Kindergarten and Grade 1), St. Brother Miguel Febres Cordero FSC building, Brother Arnold Reche FSC building, and the St. La Salle building (Grades 2–6). The Grade School shares the athletic facilities with the High School. Its principal is Mr. Jose Ramelle Javier. The Grade School has the distinction of being the first grade school in the country to receive a Level III accreditation from the PAASCU. The curriculum for the LSGH-GS focuses on basic elementary education, in which Language(English), Filipino, Christian Living, Science, Art, Music, Computer, and Arithmetic are introduced in Kindergarten 1 and 2. Language Arts, Science, Filipino, Music, Christian Living, Reading, Mathematics, Araling Panlipunan (Grade 2-6). (taught in English in Grade 6 and Physical Education are taught in Grades 1–6. Students from Grade 6-8 get to pick their Friday Club from a list of hundreds of clubs. 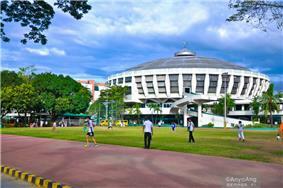 The La Salle Green Hills High School (LSGH-HS) is a Catholic secondary school for males. Its entire department is located within the St. Brother Mutien Marie FSC building aside from the Arts and Technology classrooms which are located at the St. Benilde Gym's mezzanine, and the top floors of the St. Joseph the Worker building and Central House. Its principal is Mrs. Amy Galang. The curriculum of the LSGH-HS focuses mainly on college preparatory education in which English (Grammar, Literature, Rhetoric and Reading), Mathematics, Science, Social Science, Christian Living, and Filipino make up the academic subjects while Arts and Technology (includes Electronics, Basic Accounting, Music, Drafting, Integrated Arts, Culinary Arts and Automotive), Computer, and Physical Education and Health, Mandarin and Robotics make up the co-curricular subjects which are all taught through Grade 7 to 9, 2nd, 3rd & 4th Year High School. The majority of graduates from the LSGH-HS move on to study college at De La Salle University, De La Salle-College of Saint Benilde, University of the Philippines, University of Santo Tomas, and Ateneo de Manila University. 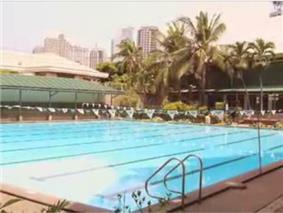 The school is situated on a six-hectare campus fronting Ortigas Avenue, across from Wack-Wack Village and golf course. Probably the most well-known building on the school grounds, construction of the dome-shaped structure began in 1967. It houses the main basketball courts on the second floor and the cafeteria on the ground floor. It is used every six years for presidential election ballot counting by NAMFREL. The mezzanine houses most of the Computer and Arts & Technology, Drafting and Cooking classrooms of the La Salle Green Hills High School. Houses the Learning Community Three (Grades 6), some computer labs and many special classrooms, the grades 1 and 2, 5 and 6 and 7 art and music rooms, the annex library, the accounting office, the Presidents' Office and the other canteen (Zaide). The 3rd floor of the St. La Salle Building houses one of the four campuses of the De La Salle University Manila Ramon V. del Rosario Sr. Graduate School of Business, of which LSGH is designated as the "Ortigas campus". Houses all of the Grade 7 and 8 classrooms. It also houses the Quadrangle, which is the school's garden. It has a library, chapel, clinic, the LC1 and LC2 guidance counselor's offices, some computer labs, the Grade 7 and 8 art and music rooms, the LC1's and LC2's prefect offices and a staircase to the Father Martinez Activity Center, or FMAC. The Saint Mutien Marie Building, or the High School Building, houses the entire High School Department of LSGH, from classrooms to the administration offices. The classrooms are organized with each year level occupying one level starting with the 9th on the second floor. The ground floor comprises the HS library, offices and the HS chapel. The St. Joseph the Worker Building houses the students and faculty of the Kindergarten department, and is divided into the Kinder 1 building and the Kinder 2 building. The Kindergarten playground is also situated here. This was the first building in 1959. It was here that the first classes of LSGH were held. Today, it is the residence of the FSC Brothers of LSGH, this is more commonly known to the students as the "Brothers' House." It is usually off-limits to all students except for the HS Science Laboratories on the fourth floor. The Brother Rafael S. Donato FSC Center for the Performing Arts (Br. Donato Center) is the home of both the grade school and high school theater arts departments of La Salle Green Hills. The former St. Joseph's Auditorium (SJA) underwent a complete renovation in 2004 and was renamed as the St. Joseph's Theater (SJT to the students). It was then dedicated on March 2007 to Brother Rafael Donato FSC, who died in Bagac, Bataan, on November 2, 2006, 2 weeks after his 50th anniversary as a De La Salle Brother. It has orchestra and balcony sections which can accommodate 628 persons and its newly installed lighting and sound systems make it the best-equipped medium-sized performing arts venue within the San Juan and Mandaluyong-Ortigas area. This has also been the venue of productions by the Grade School's Junior Actors' Guild and the High School's Cue Drama Club. Cue Drama stages productions every year. 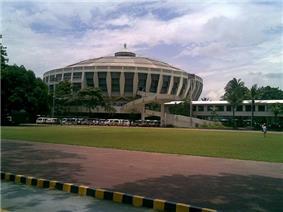 The St. Benilde Gymnasium, although called a gym, does not house an actual gym (unlike the one in the Father Martinez Activity Center, or FMAC), but houses basketball games and practices. The other gym is the Father Martinez Activity Center (FMAC). It is named after LSGH's rector in the late 1990s.b[›] It has 4 basketball courts, one full court made of Taraflex and the other three are convertible to volleyball/ badminton /table tennis courts, the Weights room, and a wall climbing facility. 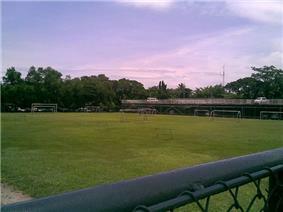 La Salle Green Hills also has a full-sized football field, named after Brother Gilbert Cotter, FSC, an American De La Salle Brother who used to handle LSGH and was closely tied to football. This is where football matches are held (mostly by the school's varsity team) as well as field demonstrations in school festivities. Other facilities include the Track Oval, Baseball diamond, Beach Volleyball court, Lawn Tennis Court, Swimming pool, Wall climbing facility, Table tennis room and a Golf Driving Cage. The Main Library of LSGH is located in the quadrangle area located at the Br. Arnold Reche Building. It has the Filipiniana section, Easy Reading, Cyberquest, Reference and Fictional and Non-Fictional sections. Its facilities include internet and printing. The Annex Library is located in the St. La Salle Building Annex and is used mainly by Grades 5–7 and is off-limits to the lower grades(Grades1-4). It has most of the services of the Main Library but no longer includes the Easy Reading Section. The High School library is located on the ground floor of the High School Building and is used only by the High School. It has the same services as the Annex Library but also includes the Leisure Reading area where comics and digests can be found. It is the biggest library in the campus. The GHArchives (Green Hills Archives) and the HS Audio – Visual Center, and ANHS collection are also housed in this library. Since La Salle Green Hills is a school dedicated to the formation of Christian gentlemen, the school has provided facilities for the spiritual activities and development of its students. La Salle Green Hills has two chapels, the St. La Salle Chapel, and the High School Chapel, and one shrine, the National Shrine of the Divine Child. The National Shrine of the Divine Child, or the NSDC is where wakes are held (for deceased faculty, alumni, brothers, etc.). The shrine also serves Sunday masses. This is also where the Grade 2 classes have their First Holy Communion every December–February. The NSDC is the place where ZTE scandal witness Jun Lozada held a press conference concerning the scandal. Large community gatherings such as the community mass are held at the gym. The Retreat House is situated behind the Kinder One building. It can house two simultaneous class recollections.c[›] The two-story building has identical facilities on both floors: Conference room which can be converted to a chapel, dining hall, kitchen, dormitory, showers, and lavatories. The dormitories are furnished with bunk beds which can accommodate a class of about 55 (full) and is air-conditioned. LSGH holds plays, concerts and activity days in each grade level (where students recite short stories and poems, and give speeches in English and Filipino). Most of these events are held at the now Bro. Rafael Donato Center for the Performing Arts, or in the old St. Joseph's Auditorium (the name of the Bro. Donato Center before renovation). La Salle Green Hills has clubs for those who want to partake in plays, the Junior Actor's Guild (JAG) in the Grade School and the Cue Drama Club in High School. These clubs hold about 3 plays per year and are held in the Bro. Donato Center. The school is also home to The Kundirana, one of the most notable and distinct performing groups in The Philippines, which is a music ministry composed of about 8–15 high school students in their junior or senior year. The Kundirana has performed several renowned concerts since its establishment in the 1970s. Being winners of a few Aliw Awards throughout their time, The Kundirana also holds the distinction of being the most famous high school singing group in the Philippines. Notable alumni include award winning Filipino artists such as Gary Valenciano, Ogie Alcasid, randy Santiago and the like. They are true ambassadors of goodwill, not only representing their school, but as well as the Philippine country especially in their concert tours abroad. The group performs several concerts aiming to raise funds to contribute to various Philippine charities such as the bahay pag-asa, and other charities spearheaded by the Lasallian brothers. The group celebrated their 40th anniversary November 2011 with a grand reunion concert held at CCP led by Ogie Alcasid entitled: KUNDIRANA KWARENTA NA: the men, the music, the ministry featuring several alumni and the then current batch, Kundirana 2012. Among the performing arts clubs of LSGH, possibly one of the most popular is the LSGH Airforce, the school's representatives for the field of Streetdance. Separated from the LSGH Dance Club (grade school) (which is more for in-school dance lovers), Airforce has been in existence for more than six years. Existing on de facto recognition, Airforce has risen in prominence in numerous dance competitions. They consist of hand-picked students from the LSGH High School, selected through tryouts. They reached and placed first in the finals of the Skechers Streetdance Battle Year 6 and Year 8, possibly the most famous dance competition in the Philippines. The La Salle Green Hills varsity team is named the La Salle Greenies. The name is also used when representing the De La Salle-College of Saint Benilde Blazers in the NCAA as their junior counterpart, contrary to popular perception that they are Junior Blazers. They were also the juniors representative of the De La Salle Green Archers in the NCAA from 1968 to 1981. La Salle Green Hills' former varsity name were the La Salle Green Hills Rangers. There are several claims as to where the moniker was taken from. In the NCAA, the Greenies have won 12 Juniors General Championships, eight with DLSU and four with DLS-CSB. In the 1980s, the LSGH-HS dissolved its Debate and Argumentation elective. Hence, there came increasing demand for students interested in the field. Therefore, the school established the Debate Club and the Forensics Guild. The two organizations were independent from each other and used different rooms for training. The Forensics Guild used the then Saint Joseph's Auditorium while the Debate Club used the High School's Maria Pilapil Hall. Both competed in various competitions in Metro Manila, sometimes meeting each other. Most prominent during this period was the Volvo Voice of Democracy. (This was the stage where LSGH alumnus, Hilarion "Ronnie" Henares III, won the prestigious competition in 1967 and where another alumnus, Christian Earl Castañeda, was second runner-up in 2009) However, since SY 2008–2009, LSGH's Student Affairs Central Body took over participation in this contest. After 2004, the school felt a need to merge both organizations. This was because the members were at a decline and they both had the same objectives and purpose. So they established Club Rhetorique. At the same time they created the Rhetoric elective for sophomore students. Feeling the need for a more competitive debate institution, LSGH-HS's English Department and students from De La Salle-College of Saint Benilde established the La Salle Debate Team (LSDT) in the SY 2005–2006. The team has autonomy from rules of normal clubs and societies in LSGH and is officially under the Principal's Office, rather than under the Student Activities Coordinator. The Adult Night High School (ANHS) was established to educate the marginalized, not only financially, but also the disabled through its Program for Deaf Learners. It teaches them vocational courses that they could use to earn a living. It usually teaches from post-teen years students to those who are already advanced in years. These classes are held at the High School Building, from 5:00 to 9:00 in the evening after the regular students have their classes. The shield is quartered by the form of a cross. 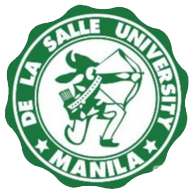 On the upper left, the three broken chevrons are as in the coat of arms of the La Salle family representing the name of the school La Salle. The upper right contains the five-point star with rays, the sign of faith, from the seal of the Brothers of the Christian Schools who conduct the school. The lower left portion contains a section of the Philippine flag signifying loyalty to the country. The lower right, with its hill represented in green is for Green Hills, and the monument to signify Rizal Province, localizes the location of the school. The shield is topped with the helmet and breastplate. The salvation of souls is the uppermost aim of the school, hence the "helmet of salvation" and the "breastplate of integrity" signify the primary objective. The motto "To God, through faith, virtue and culture" further emphasizes that the school offers all to the greater honor and glory of God. In green and white in classical design, the name and place of the school surround the shield. Juan Miguel Salvador (LSGH '80) Singer, Composer, Musical Arranger. Composed "One La Salle", "I'd Rather Be Green Than Be Blue", The Kundirana Theme ( Ibang-Iba Talaga). Major Gen. Jose Mabanta (LSGH GS '71, LSGH HS '75) - Commanding General of the 3rd Infantry Division, Philippine Army. ^ b: As depicted on a plaque on the entrance of FMAC. ^ c: One class in the 1st floor, Another in the 2nd floor, thus making the Retreat House capable of handling two retreats at once. ^ d: Both variations of cheers are taught to the High School in Physical Education & Health (PE). ^ RockEd Philippines – Where Future Leaders Meet rockedphilippines.org.Accessed September 2007. ^ LSGH Grade School: Admissions gsweb.lsgh.edu.ph. ^ La Salle Green Hills – High School Website | Admission LSGH High School. ^ DLSU-Manila : Inside DLSU : History.dlsu.edu.ph. Accessed June 2008. ^ University of St. La Salle – Bacolod. ::Inside USLS::. usls.edu.ph. Accessed June 2008. ^ www.lasalleiligan.org – Official website of La Salle Academy – Iligan.lasalleiligan.org.Accessed June 2008. 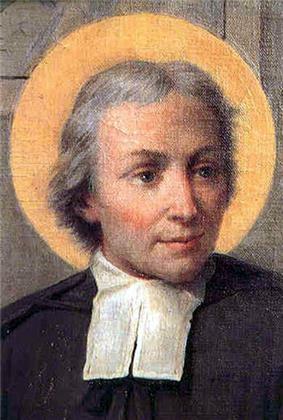 ^ a b De La Salle Philippines DLSPI Website. ^ La Salle Green Hills – High School Website | About LSGH LSGH HS Website. ^ a b c d La Salle Green Hills – High School Website | About LSGH. Accessed July 2007. ^ La Salle – Green Hills High School Diploma dated 1974. ^ De La Salle Alumni Association | About DLSAA dlsaa.com.Accessed November 2007. ^ Philippine Accrediting Association of Schools, Colleges and Universities paascu.org.ph. ^ News – La Salle Green Hills High School hsweb.lsgh.edu.ph. Accessed August 2007. ^ a b [LSGH-GS] News and Highlights. gsweb.lsgh.edu. Accessed August 2008. ^ High School Department – La Salle Green Hills. LSGH High School site. Accessed January 2009. ^ LSGH Grade School: Objectives and Academics La Salle Green Hills Grade School website. ^ La Salle Green Hills – High School Website | Academics. Accessed July 2007. ^ Data at LSGH-HS Guidance Unit, the Unit responsible for college admissions. ^ a b La Salle Green Hills – High School Website | About LSGH#History LSGH HS Website. ^ NAMFREL to stay in La Salle after May 26 INQUIRER.net. Accessed July 2007. ^ a b c LSGH Grade School: Services and Facilities.gsweb.lsgh.edu.ph.Accessed June 2008. ^ De La Salle Professional Schools.dlsps.edu.ph. Accessed May 20, 2008. ^ "Br. Rafael S Donato FSC Center for the Performing Arts", page 142, La Salle Green Hills Grade School Student Handbook, 2007–08 edition. Accessed May 22, 2008. ^ The Cue Drama Club of La Salle Green Hills High School Cue Drama Club Website, Accessed August 2007. ^ a b La Salle Green Hills Grade School Handbook, p.140 (2007–08 edition). ^ La Salle Brothers in the Philippines. usls.edu.ph. Accessed June 2008. ^ De La Salle Philippines Media Bureau: Chronology of Events: LSGH Brothers' Community as Sanctuary for the Lozada Family. news.delasalle.ph. Accessed May 22, 2008. ^ ABS-CBN New Online (BETA). abs-cbnnews.com. Accessed May 22, 2008. ^ Ateneo, La Salle, Cory lead mass for Lozada on Sunday – INQUIRER.net, Philippine News for Filipinos. newsinfro.inquirer.net. Accessed May 22, 2008. ^ The Manila Times Internet Edition | LIFE & TIMES > 35 years of Kundirana music manilatimes.net. Accessed August 31, 2007. ^ Pinoy Exchange Forums. Pinoy Exchange Forum. Accessed August 2007. ^ LSGH Alumni Association – Going Green Online. lsghaa.net. Accessed May 21, 2008. ^ Why "Green Hills"? – Vox. rektikano.vox.com. Accessed May 21, 2008. ^ NCAA Champions List at NCAA.org.ph NCAA.org.ph. Accessed August 2007. ^ NCAA. ncaa.org.ph. Accessed June 2008. ^ . Champions list at NCAA Philippines. Accessed June 2008. ^ La Salle SCOPE Yearbooks from the 1980s through to 2004. Accessed March 2009. ^ Pictures and citations are available in the 1999 edition of La Salle SCOPE. Accessed March 2009. ^ Original Organizers of VOPD. Accessed April 2009. ^ LSGH history by lsghdev. Accessed April 2009. ^ Current results of the VOD. Accessed April 2009. ^ List of organizations. Accessed April 2009. ^ List of units and subjects. Accessed April 2009. ^ From paychecks issued by LSGH Accounting and from records with the English Department- Rhetoric. Accessed March 2009. ^ Tabulations for NAsHDC: http://nashdc.com/final%20team%20tabs.xls Accessed September 2008. ^ a b Laking Verde – ANHS. lsgh83.org. Accessed May 22, 2008. ^ LSGH Grade School: Emblem. gsweb.lsgh.edu.ph. Accessed May 22, 2008. ^ a b Page 26, La Salle Green Hills Grade School Handbook, 2007–08 edition. ^ LSGH 1971 Toastmaster's Page lsgh71.org. Accessed August 2007. ^ PROFILE:MIKE ENRIQUEZ Geocities.com. Accessed August 2007. ^ a b Name Famous Personalities of Your School Uaapforums.com. Accessed August 2007. ^ Personal Profile of Gov. Ferdinand R. Marcos Jr. geocities.com.Accessed May 20, 2008. ^ 2007 – INQUIRER.net.eleksyon2007.inquirer.net.Accessed May 20, 2008. ^  Bar Topnotchers 2001-2004.Accessed May 26, 2012. ^ Gary Valenciano profile Chordie.com. Accessed August 2007.